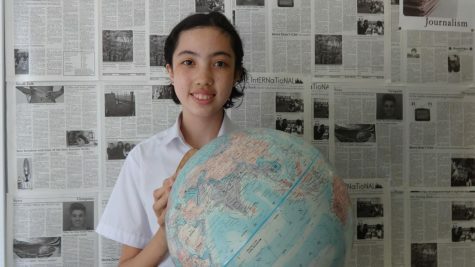 Miko, a half Japanese and half American Junior, is looking forward to her first experience as a journalist and her first year in The International. She was born and raised in Los Angeles, California until she was eight years old, at which point her family hauled her across the ocean to Tokyo where she has lived ever since. She lives there with her parents and two cats and spends her time reading, writing, and doodling.